TIGERLIM.COM: New Intake Start Now!!! New intake for year 2015 now starts. Only limited to 6 kids per session. Only 40 seat left. Kids 4yrs old or in K2 are welcome to join our Little Reader Club. Young children need to be nurtured and trained to read. 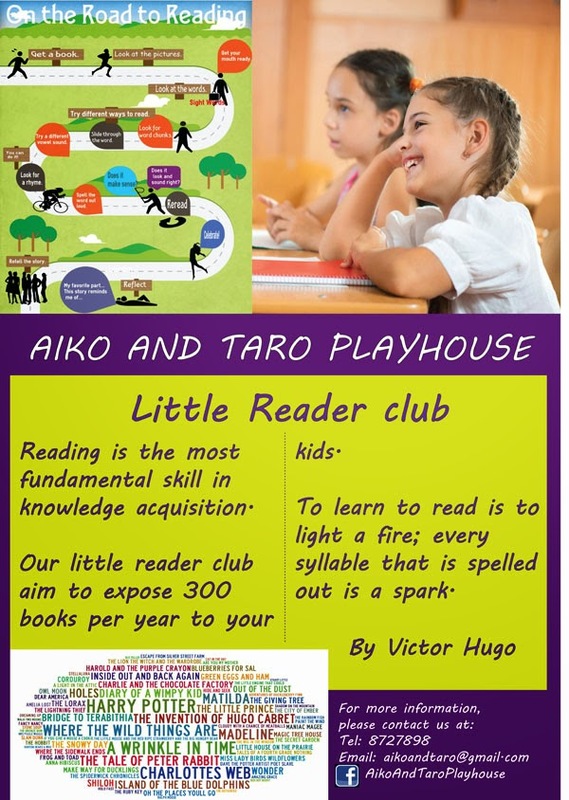 Feel free to make an appointment with AikoAndTaroPlayhouse to understand their Little Reader Club more.